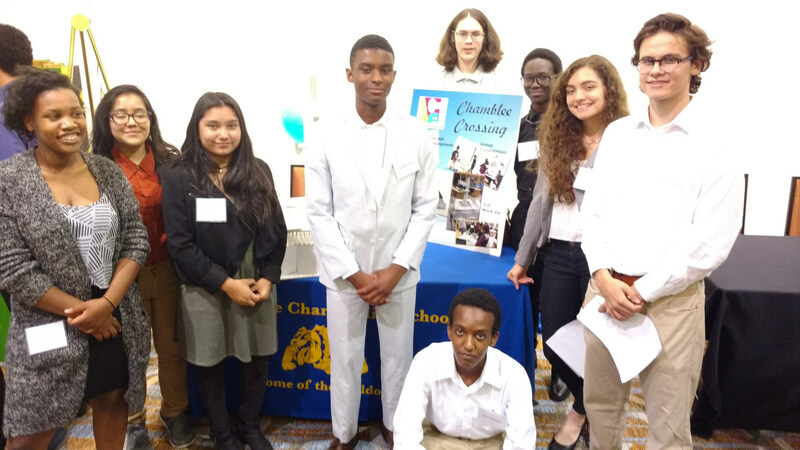 Jocelyn Leon and Eli Abamonte, students at Chamblee Charter High School, received special recognition at the Architecture, Construction, & Engineering (ACE) Mentor Program’s End of Year Banquet on May 8, 2017. Both students received recognition for outstanding accomplishments, along with a $50 gift card. Additionally, Abamonte received a $2000 scholarship to pursue a degree in architecture. 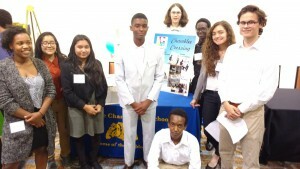 Chamblee Charter High School hosted the ACE Mentor program for the first time this school year. The 16-week program provides students with exposure to industry professionals from the architecture, construction, and engineering fields as well as a wealth of insight and information for their future career paths. Amanda Mewborn, the executive director for Project Management, Piedmont Hospital, as the keynote speaker at the banquet.